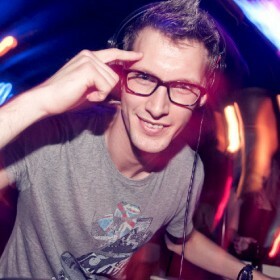 Dimitri Wouters started developing his dj skills at the local youth club in 2004. It didn’t take much time before he played at numerous local parties. In the meantime Dimitri kept on practicing, extending his music know-how and pleasing lots and lots of party crowds. Only 3 years after discovering his capacities as a dj, he became a resident at one of Belgium’s most famous clubs Noxx Antwerp. Together with more then two thousand partypeople he weekly set the dancefloor on fire! Nowadays Dimitri Wouters is a resident at Noxx, Paradise Saturdays and Reflex, and plays at all major VIP Afterparties of the Antwerp Sportpalace. He plays at about 200 parties a year all over Belgium. His mission is to share his love for music… And that’s what he does! A few time ago Dimitri started making his own bootlegs, edits and remixes, which are supported by the biggest dj’s. Besides that he is working on his first official release. Dimitri Wouters outshines from the fast growing amount of dj’s thanks to his remarkable technical skills, his original and varied music choice and his natural ability to keep dancefloors grooving into the early hours of the morning!